Sometimes a tooth extraction is necessary due to disease, decay, or trauma. 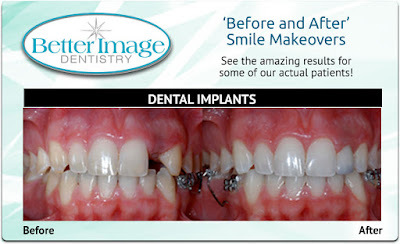 A dental implant is the usual solution for a replacement. If a patient does not have sufficient strong bone in the jaw, an implant may not be suitable. Immediately after a tooth is extracted, bone density starts to diminish. We can provide a bone graft shortly after the extraction to preserve strong bone. Whether or not you decide to have an implant thereafter, grafting is important to reduce the loss of bone. 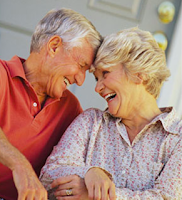 If you can no longer tolerate slipping and tilting dentures, we have a solution for you. 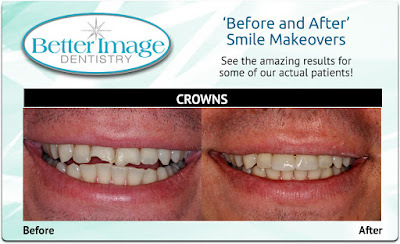 Overdentures completely eliminate these problems. They provide the stability of implants to stop denture movement and keep food from being trapped. We are experienced in giving a great look as well as the correct fit. You will be worry-free and want to smile even more. Come in and let us tell you how we can solve your denture problem. Take a look at these before and after images of our patient with new dental crowns! Take a look at these before and after images of our patient with new dental implants! Xylitol is now the preferred sweetener approved by dentists and endorsed by dental associations in seven European countries. It is a naturally occurring substance produced by our own bodies and found in fruits and vegetables. Not only is it effective in preventing tooth decay, it is also effective in combating tooth decay from consuming foods high in sugar and starch. Xylitol is often used in chewing gum, candy, and dental products such as toothpaste and mouthwash. It has also been proven to help those suffering from allergies and is used in a nasal spray. 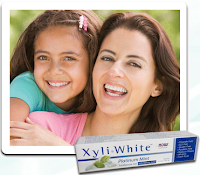 We encourage our patients to use xylitol products if you want fewer cavities and improved respiratory health. Please feel free to ask us for information on xylitol.